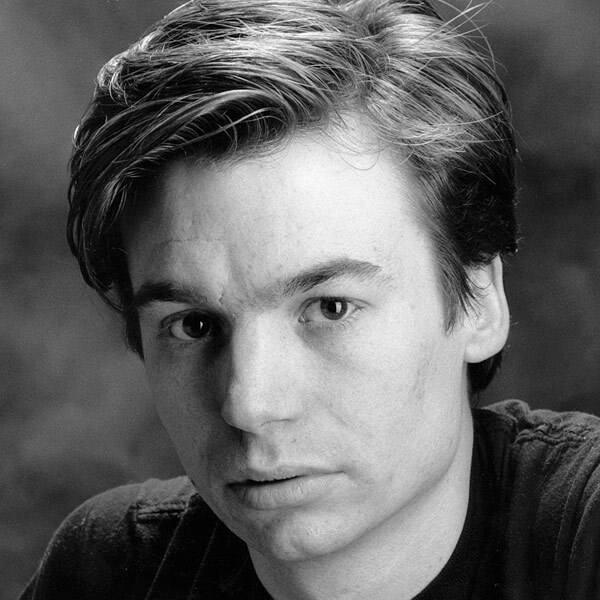 Mike Myers is a successful comedian, most known for his work on Saturday Night Live and in blockbuster film roles. Before reaching mainstream fame, Myers spent his time honing his craft in Toronto, London, and Chicago at different comedic institutions, including The Second City. Born and raised in Toronto, Myers dreamed of joining the Second City since he was four years old and auditioned for the Second City’s Toronto Touring Company on his last day of high school. He was accepted immediately. He toured for a year and a half, joining the Mainstage cast in 1986, where he wrote and performed in the revues Not Based on Anything by Stephen King and Bob Has Seen the Wind. He filmed a pilot called 100 Lombard Street (the address of Second City Toronto then) in 1987, which also starred Ryan Stiles and Bob Bainborough and featured Dana Andersen, Bonnie Hunt, Linda Kash, Richard Kind, Jane Morris, Bruce Pirrie, Audrey Webb, and Mark Wilson. In 1988, Myers moved to Second City’s Chicago location at the request of Andrew Alexander. There, he worked alongside Bonnie Hunt, Richard Kind, and Betty Thomas, who made her directorial debut with Kuwait Until Dark or Bright Lights, Night Baseball. After working with Martin Short at Second City Toronto’s 15th anniversary show, legend has it Short called Lorne Michael and urged him to hire Myers for SNL. Myers began his six-year stint on SNL in 1989. Two of his most popular characters, “Wayne Campbell” and German talk show host “Dieter,” debuted on The Second City stage only a few years prior. For his work on the show, Myers won an Emmy for Outstanding Writing in a Variety or Music Program in 1989, and Rolling Stone ranked him fourth on their list of best SNL characters of all-time in 2005. During his time on SNL, Myers filmed Wayne’s World and Wayne’s World 2, both commercial and critical successes. After SNL in 1995, he began work on the Austin Powers franchise, writing and producing the first installment, Austin Powers: International Man of Mystery, as well as playing both the titular role and the main antagonist, “Dr. Evil.” He reprised these roles, along with two more characters, in the subsequent sequels. In addition to the Austin Powers franchise, his lengthy resume includes voicing the role of “Shrek” in all four Shrek films, appearing in Inglourious Basterds, playing real-life legendary club owner Steve Rubell in 54, and directing the documentary Supermensch: The Legend of Shep Gordon.